One might assume that God would be the name to come up the most in Oscars acceptance speeches. That assumption would be very incorrect. God doesn't even crack the top five. Steven Spielberg, James Cameron, George Lucas and even Harvey Weinstein have all been thanked more in Oscar speeches over the years than God has, according to an analysis of the numbers. The Academy has archived more than 1,400 Oscar acceptance speeches over the years. An analysis of those speeches through 2015 revealed that Steven Spielberg is, by a pretty wide margin, the most mentioned individual when people accept their prize at the Academy Awards. The man behind Jaws, Schindler's List and many more Oscar-nominated flicks has been mentioned 42 times, according to the findings. 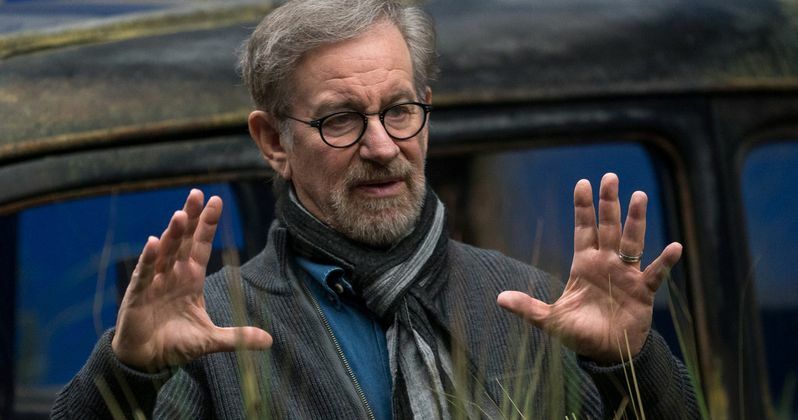 Spielberg has not only directed a lot of actors to Oscars, but he's also produced quite a few projects as well. It's not terribly surprising that he came out on top. Coming in at number two with 34 mentions is disgraced former Hollywood producer Harvey Weinstein, who has fallen from grace since his years of sexual misconduct came to light late last year. But prior to his misconduct becoming public knowledge, Weinstein produced a lot of Oscar-winning movies, which is why he's been mentioned so many times. Though, it's doubtful he's ever going to come up again. James Cameron isn't far behind Weinstein with 28 mentions. The man behind Aliens, Titanic and Avatar has had his share of big nights at the Academy Awards. George Lucas, the man responsible for creating Star Wars, is at the number four spot with 23 mentions, trailed just barely by Peter Jackson, who helmed The Lord of the Rings and The Hobbit trilogies, with 22 mentions. A lot of people took home awards for those movies. It's not until the number six spot where God finally comes up, with just 19 mentions in acceptances speeches over the years. Another interesting couple of stats from these findings; 43 percent of all speeches thank the Academy directly, with parents being thanked in 28 percent of speeches. That seems like a lot, until you ask the 72 percent of parents who weren't thanked in the award winner's Oscar speech. We'll have to see who winds up getting thanked next year at the 91st Oscars ceremony, which is set to air on Sunday, February 24, 2019. You can check out the full list of the top ten below, as well as a video breaking down the findings from the Vocativ YouTube channel.